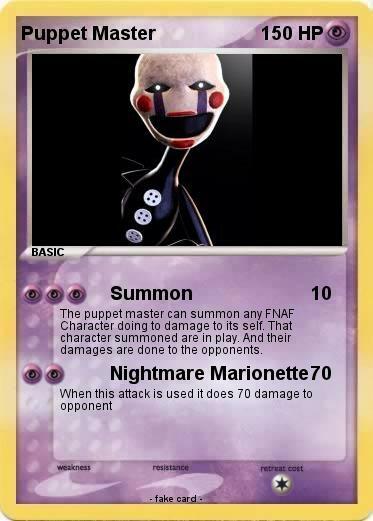 The puppet master can summon any FNAF Character doing to damage to its self. That character summoned are in play. And their damages are done to the opponents.